Social innovations include ideas, concepts, processes and organizations that focus on societal needs. Social entrepreneurship can be understood as the process of identifying and starting a new business venture to address a pressing public and societal need. 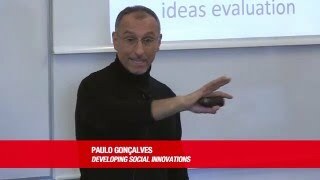 This course starts by exposing students to pressing societal needs, then introduces them to the concepts and techniques associated with human centered design for social innovation. Through a combination of methods, such as ideation and prototyping students learn to design robust ideas for social innovations. Introduce students to the principles of social innovations. Adopt a Human Center Design (HCD) approach as a driving force to guide students through the different design process stages, such as discover, ideate and prototype. Expose students to processes that would allow them to generate robust ideas for social innovations.